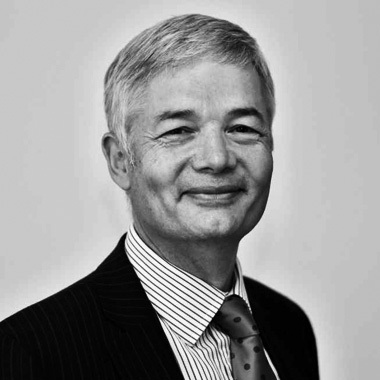 David (CEng FIMechE) worked for Rolls-Royce plc for 39 years where he became a Senior Manager responsible for Research and Technology within Design Systems Engineering. For the last 18 years he has been leading a global network of multi-disciplinary specialists, researchers and developers, in academia and industry, developing software tools and processes to improve the Engineering Design process used globally within Rolls-Royce. David is a Fellow of the Institute of Mechanical Engineers, who loves creative problem solving, and has generated 28 patent applications. As a Design Team Leader on the Trent Gas Turbine Engine he generated two patents that became “High Value Patent Award Winners” at the Rolls-Royce “Chairman’s Awards for Technical Innovation”. He first came across TRIZ over 20 years ago, and he immediately saw its power when he applied it to solve a difficult engineering problem his team was facing, generating a patent in the process. He subsequently championed TRIZ within Rolls-Royce, as part of a Holistic Innovation Strategy. He has facilitated a wide range of TRIZ problem solving workshops, and trained over 450 engineers and MSc Students in the TRIZ methodology. David is a Fellow of the Institute of Mechanical Engineers, and worked for Rolls-Royce plc for 39 years in various roles including leading creativity and innovation as Head of Design Technology, and as a senior manager responsible for research and technology programmes. What I enjoy most at Oxford Creativity is helping clients generate breakthrough solutions to difficult real-world problems, and seeing participants happy with the results. Through training and workshops it is also very rewarding to see people's belief in their own creativity flourish. Providing training involves explaining TRIZ thinking and tools as clearly as possible. Having used TRIZ in industry for many years, this helps underline the relevance of TRIZ and ground its application in a business context. Applying Oxford TRIZ to non technical problems. I would like to develop and run TRIZ for Knowledge Managers and TRIZ for Sustainability. Facilitating TRIZ workshops on real problems involves first seeking to understand the client, their problem and their needs, and then tailoring the agenda and tools used to maximise the impact in the time available. During workshops I aim to explain the tools we will be using simply and clearly, as well as coach and encourage the participants through the process. It is also important to remain flexible on what direction to take, as the problem understand grows and potential solutions emerge. The workshop also finishes on a high when we have been able to generate some kind of action plan for taking the top ideas forward. I am an aspiring potter with a desire to create functional porcelain where beauty is born of purpose. As an engineer I aim to make “Form Follow Function”. I have a long way to go, but am enjoying the journey. I like reading, and writing. I find that writing helps me to think, which comes in useful when I'm preparing some Bible teaching for our Church, where I am an Elder. I try to avoid mashed potato and eggs with running whites. Karen likes to tell the story of how when she was first giving some TRIZ training for Rolls-Royce, she used a patent as an example on one of her slides. Part way through her explanation it dawned on me that it was one of my patents. I think she enjoyed seeing the realisation slowly spread across my face. This was pre-internet, so she had to have done her homework!